“There’s no place like Matheny. We’re dedicated to all of you in this room.” Tim McLoone, founder and leader of Holiday Express, the all-volunteer band that gives 60 concerts between mid-November and Christmas Eve, helped kick off the holiday season with a November 22nd concert at Matheny. 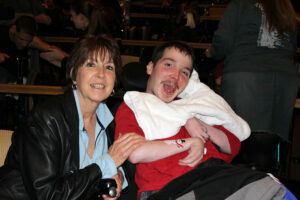 Matheny student Daniel Gaudreau and his mother Regina. 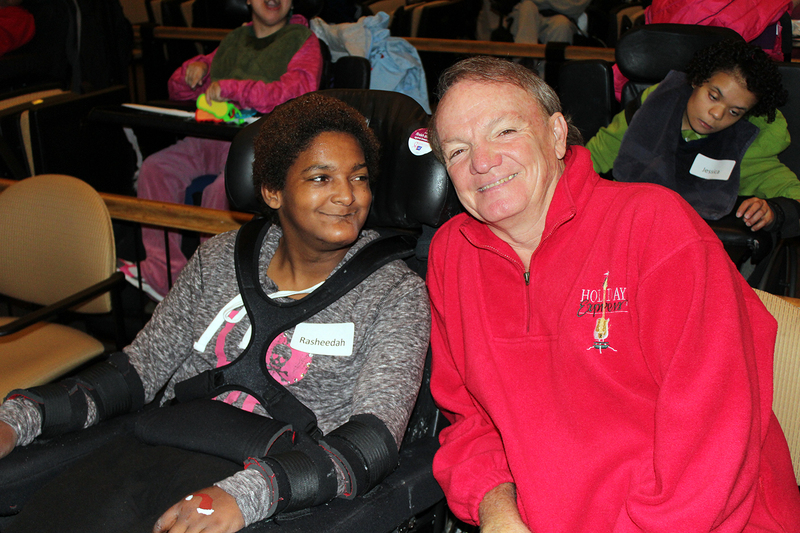 The Robert Schonhorn Arts Center rocked to sounds of Holiday Express favorites such as “All I Want for Christmas is You”, “Nobody Ought to be Alone on Christmas”, and “Run Run Rudolph”, written and sung by Bedminster resident Byron Smith. The Matheny Choir joined the Holiday Express band for two songs, “Jingle Bells” and “Let it Snow”, and will be reappearing with Holiday Express on December 10 at its annual benefit concert held at the New Jersey Performing Arts Center in Newark. Founded by McLoone in 1993, Holiday Express has been performing at Matheny since 2001. The organization has more than 100 professional singers and musicians who volunteer their time and more than 1,300 additional volunteers.